I was recently contacted by Salon Cosmetics whom have just launched the I.C.O.N. Hair-Yurvedics Hair Care Range in Australia and asked if I would like to try their new range INDIA. INDIA hair care incorporates Ayurvedic Principles that not only make your hair look good but use the healing qualities of Moringa Oil ~ restores strength & adds lustre, Argan Oil ~ to nourish and revitalise and the exotic fragrance of Amber. The women of India have used these oils to heal for centuries. Based on ancient practices I.C.O.N have now combined these ingredients to help transform your hair back to luxuriously silky, manageable, radiant health and shine. INDIA Shampoo ~ Gently cleanses your hair while strengthening and smoothing the hair shaft. INDIA Conditioner ~ Helps heal and treat your hair from the inside, promotes healthy growth and adds shine. INDIA Healing Spray ~ This is a leave-in treatment which fortifies each strand with Aloe leaf to soothe and Quinoa (natural protein) which promotes hair repair by reversing damage, strengthening and binding moisture. I have been using these products for over a week now and I would have to say I am in love with this brand. I have long hair which needs a lot of care and I was really impressed by how my hair immediately responded to these products. The Shampoo leaves your hair feeling silky soft, it is a pearlised cream which you just massage through and rinse clean. I could really feel the difference as there was no tangled dry feeling, this is the first shampoo I have ever used where I felt my hair was noticeably smoother without the use of conditioner. The Conditioner I was really impressed with because I found I didn't need to use as much (same amount as the shampoo) to coat my hair. Extremely emollient, I just massaged it through my ends and worked my way up to my scalp. I left it on a few minutes and rinsed. The test of a good conditioner for me is when you comb your hair and the comb just glides through, that was what I experienced with this conditioner, silky, soft, manageable hair. The Healing Spray would have to be my favourite product, after towel drying my hair, I sprayed a few squirts into my palm and gently massaged through my hair. This is a light emulsified oil which treats and conditions your hair without leaving a heavy oily mess. I have fine hair but lots of it and usually oil-based products leave my hair limp and over-saturated. The Oil I used just on the ends of my hair for a little extra moisture and protection, I found the healing spray was enough extra condition for my fine hair. Overall I found using all these products together PERFECT for my hair. My hair looks and feels silky and glossy, I noticed my hair remained in good condition between washes (3 days), there were no tangles, knots or frizz and my hair remained luxuriously soft and shiny. I received compliments from friends and family wanting to know what I had done to my hair and I was very happy to tell them. This is the FIRST complete hair care system where I have loved ALL the products not just one or two. The musky smell of AMBER is carried through the entire range and would have to be one of my favourite perfumes, a very subtle yet provocatively sensual aroma. There is definitely something very exotic about this range and I recommend you try it for yourself. You can find out more about I.C.O.N. from their webpage here or if you would like to purchase some of their products online HAIR 2 GO have some wonderful value packs with great savings here. I have already purchased the I.C.O.N. India Discovery Pack for myself, $210.75 value for $99, you can find it here. Now for the exciting bit. Salon Cosmetics has offered one of my lucky readers a beautifully presented I.C.O.N. 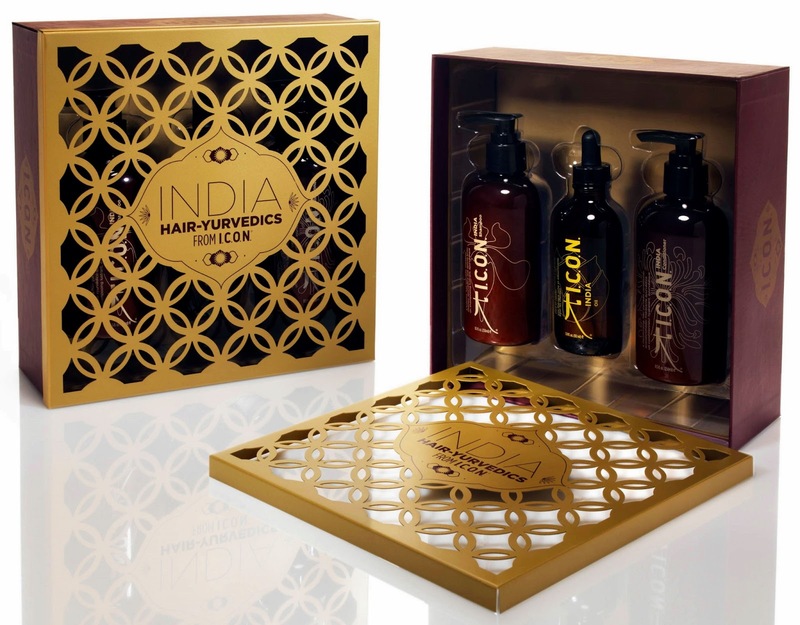 India Trio Pack valued at $115.85, it contains their gorgeous full-sized INDIA Shampoo, Conditioner and Oil. 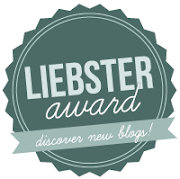 All you have to do to enter, is follow me on either GFC, Bloglovin or Google+ (links are on the right) and leave a comment below with the name you are following me with so I can find you. Comments will be numbered in order posted and the winner will be chosen via Random.Org. I will announce the winner on my blog, Sunday June 30, you have 24 hours to contact me or another winner will be picked. The prize will be sent directly to you from Salon Cosmetics. This prize is only available to Australian residents and will end 3pm on the 30th June 2013. Wow it all looks lovely! I have some Moringa body butter from the body shop and it smells amazing, I wonder if you get any notes of that in the scent, along with the amber? Hya, I don't know what Moringa smells like but there is definitely more than Amber in there, it is a wonderful smell. The range is really divine. I know what you mean about itchy hair, my skin is so dry now because of winter, I am going through moisturiser like nothing else. Hya Loz, no worries about the comment lol.... I know what you mean about the shampoo, my hair is usually a frizzy untamed birds next until I apply conditioner, I was very impressed with this shampoo. Good luck on the draw!! It has done wonders for my dry ends, I have just coloured my hair and it usually goes straw like but this hair care pack and done wonders for the condition of my hair. 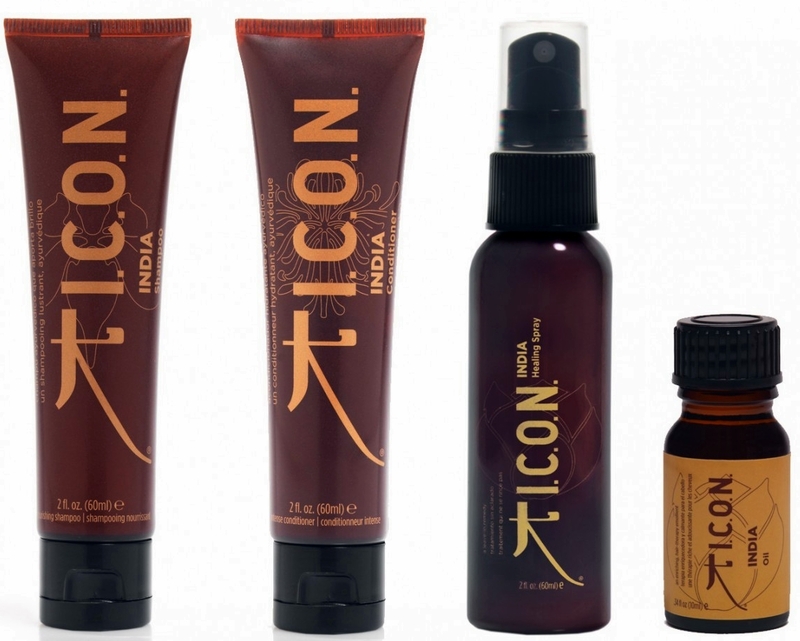 The ICON India range sounds amazing. I have long hair and would love to try it. 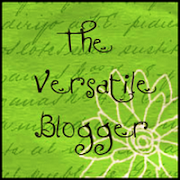 Hya Merryl, I am sure you would love this haircare as much as I do. I used them before I went camping last weekend and it rained and rained, my hair stayed soft and didn't frizz up like it usually does, I was very impressed. Thanks Olivia they are gorgeous. Hya Sharon, thanks for joining in, good luck! Thanks Sarah, they really are great products, I just received my order and from the packaging to the products they are gorgeous! !